The primary reason we went to Vaison-La-Romaine was to visit with friends of ours from Winnipeg, Judy and Bill, and Delores and Dave who have rented a beautiful villa here for two weeks, with two other couples. We met up with them yesterday morning, which happened to be market day in Vaison. 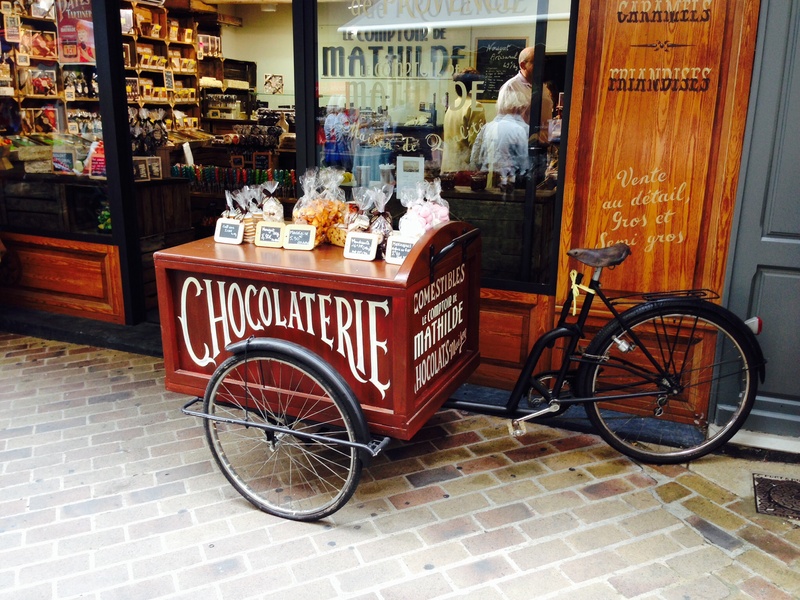 A chance for the women to do coffee and shop French style and the men to go cycling. I thought I would let Dennis have the floor today, and talk about his experience riding in and around Vaison. Bill is an avid cyclist who has toured many areas of France. He was excited to show me around this area that he knows and loves so well. We rode to Malaucène which is one of the gateway communities for the climb up Mont Ventoux. Mont Ventoux is a common route on the Tour de France. The peak is 1912 meters above sea level and is 21.5 kilometres to the top from Malaucène. The summit wasn’t in our plan for this trip. Something to save for another year. Dave met us for for beer, quiche and salad lunch on the square in Villedieu, in the shadow of the church. We spent the rest of the afternoon at Bill and Judy’s villa. I walked through the vineyard neighbouring their place and munched on fresh Grenache grapes right off the vine. I watched a crew of twelve people hand picking grapes. I can now appreciate why Judy and Bill love this area so much. Categories: Cycling in Provence | Tags: Mont Ventoux, Vaison-la-Romaine | Permalink. Bonjour mes amies! How wonderful to see you all together looking so well and happy…..and why wouldn’t you be in such a beautiful spot. Les Beaux brought back memories of my first taste of Frog Legs….can’t say I enjoyed eating Kermie the Frog, but loved the historical setting. Thanks for sharing your journey and keep on having fun.